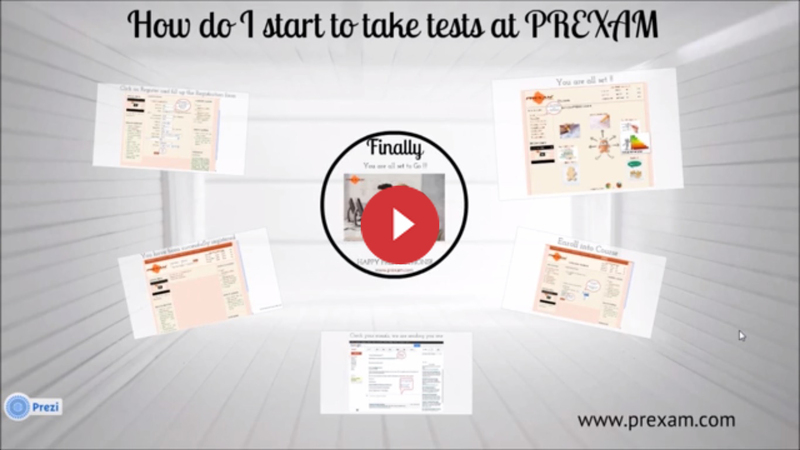 How to get started with PREXAM? 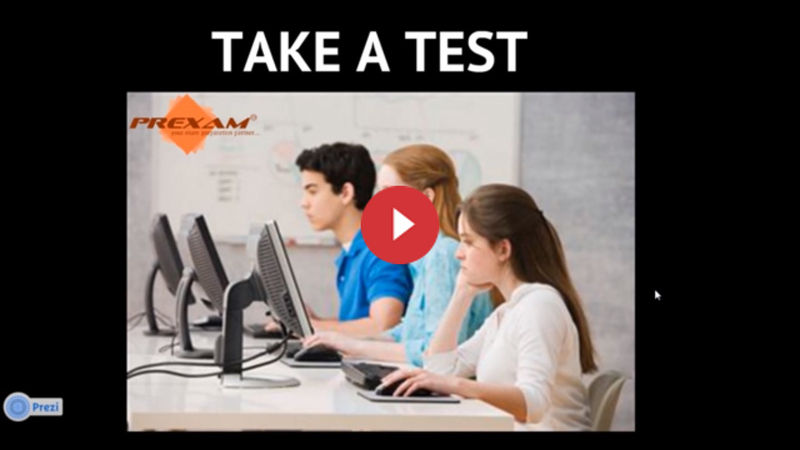 Take a test on PREXAM. 1. I want to register and take test but I don't know how to do it. Can you help me? A. Yes we would willingly help you out through email or phone if you let us know about it. You can also give us a call on +91-9503273330 between 9.30am -5.30pm (Monday - Friday) and if you are in front of your PC we can guide you to get registered and start taking tests. 2. Procedure for the activation of the account after registration? A. Check your email Id, you will receive PREXAM e-mail, open that e-mail, you will get an ACTIVATION LINK, click on that activation link, your PREXAM A/c will be activated. 3. If the Link is in not mailed on the email-id, what to do? 1) Check the "junk" or "spam" of your email address to see if PREXAM e-mail is present. 2) Click on the FORGOT PASSWORD at the top of the site, you will be asked for your email id. Enter your email id and click on the send password. After that check your email, you will receive PREXAM email, click on the ACTIVATION link in that email and your PREXAM account will be activated. 4. Even after clicking the forgot password, the activation link is not received. What to do? A. Fill up the FEEDBACK form from contact tab with correct email address and we will send you the link on your email id. 5. When I click on start test, the test does not start. 5. When I click on start test, the test shows some error. 1) Clear you Browser's Cache and History. This can be done by holding down Ctrl + Shift + Del Keys. 6. I want to know how the answer was derived for a particular question. Can you provide a solution? A. Yes, we would be happy to provide you with the solution. You can fill up the feedback form with the QUESCODE of the question you need a solution for and we would send you the solution on your email. Din't find you query here? Ask Us directly.